Don't miss a fantastic free evening of talks, testimonies and lively music! 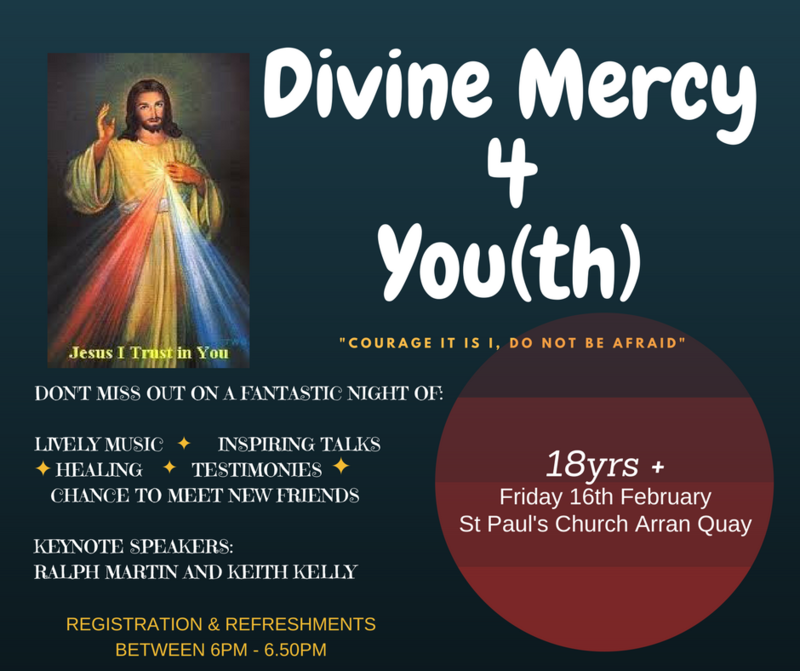 Dining Mercy 4 You(th) will be held in St.Paul's Church, Arran Quay. The luas red line and multiple bus stops will take you within walking distance of the venue.